Common wisdom tells us innovation is driven by the desire to fill an empty void. 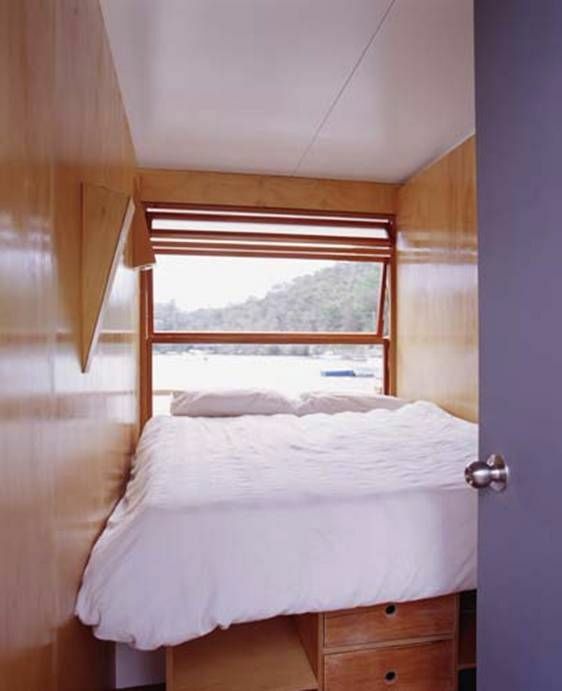 Tiny living spaces are a testament to this, but not in the same way as the houseboat endeavors we're delving into today. You see, Australian construction company Arkiboat Houseboats claims that Noah's ark, while practical, was missing an architectural touch. Biblical times have long drifted into history, but the company's founders believed this trend was far too prevalent in present-day floating homes. And thus, the prototype for the dwelling we're about to navigate came into being. The project took nine months to design, construct, and complete. Now that it's finished, we can get a feel for history in the making. 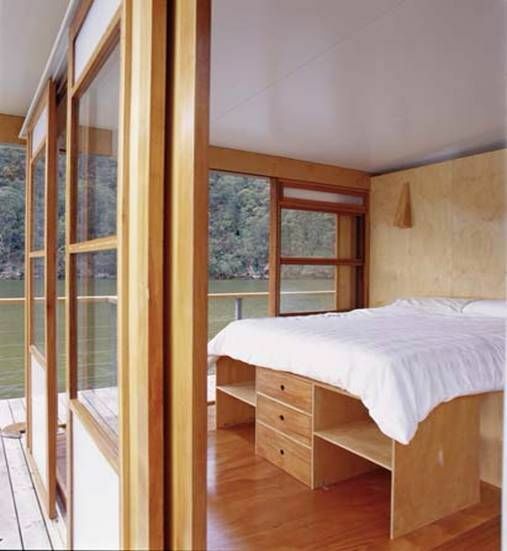 Arkiboat Houseboats recruited architect and builder Drew Heath to fulfill their simple, but challenging task: create a vessel with a surrounding deck that is visually pleasing to the eye. Needless to say, Drew Heath rose up to the challenge. To make this house as resistant as your traditional liner, marine grade aluminum framing is used on the inside and out. 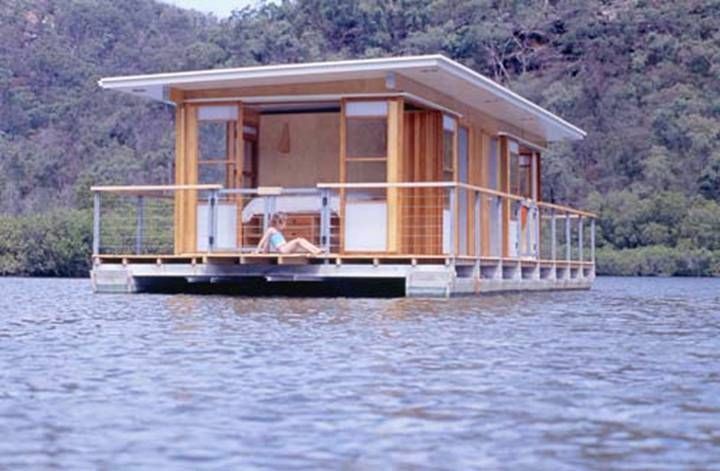 And this floating home is quite sustainable too - solar panels have been fitted on the roof so you can power everything up using a consistent, eco-friendly charge. 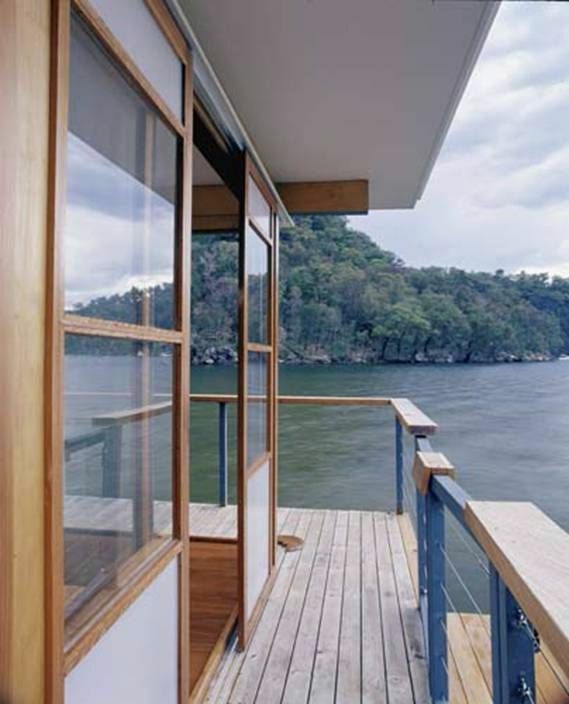 The lavish deck's timber flooring is made with native Australian hardwoods. As you walk around it, you will be able to truly immerse yourself in the quintessential riverside views. All sails lead to home. We don't usually begin an interior tour with a bedroom - but since we're passing through, there's no reason not to. Shelving at the foot of the bed is used to efficiently complement the bedroom's cozy confinements. Wide windows by the head of the bed breathe an air of vitality into this room. All interior floors are made with varnished plywood and hardwood. 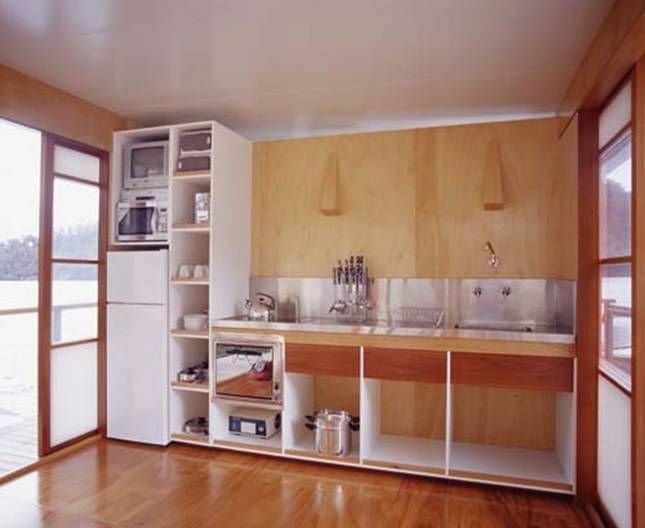 These sparkle and shimmer throughout the floating home, as is evident in the kitchen. We like how everything in this room has its special place - from the fridge to the utensils and other essential amenities. The bathroom makes the most of contemporary renditions all round: from its spacious shower to the design of its modish basin. 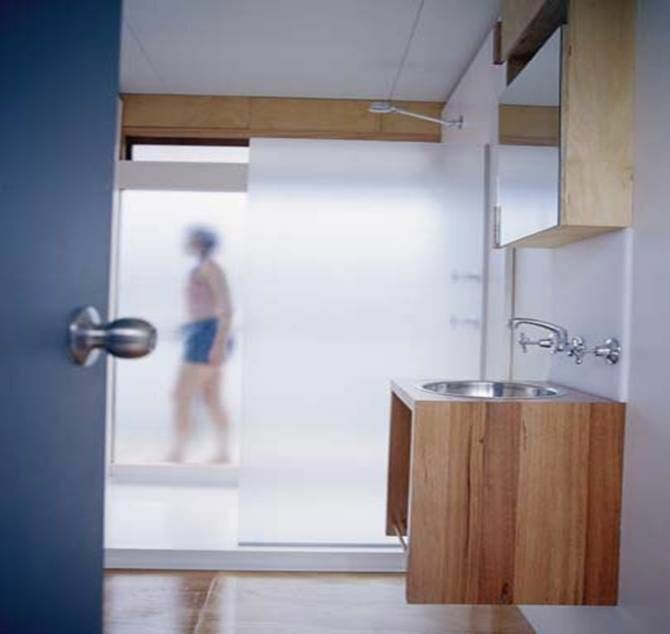 Polished aesthetics carve this Arkiboat creation's place in history. 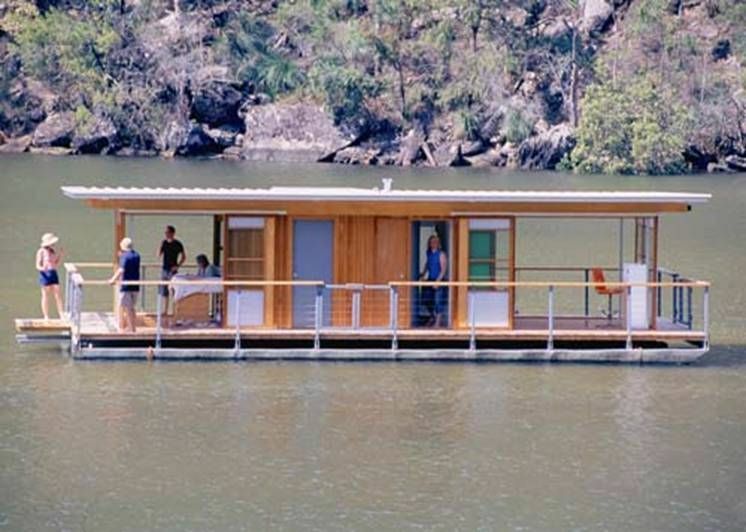 We'll leave it up to you to judge whether this vessel can fit two of every houseboat enthusiast on board. But we will say that its refreshing design has brought a bit of calm after a long storm.